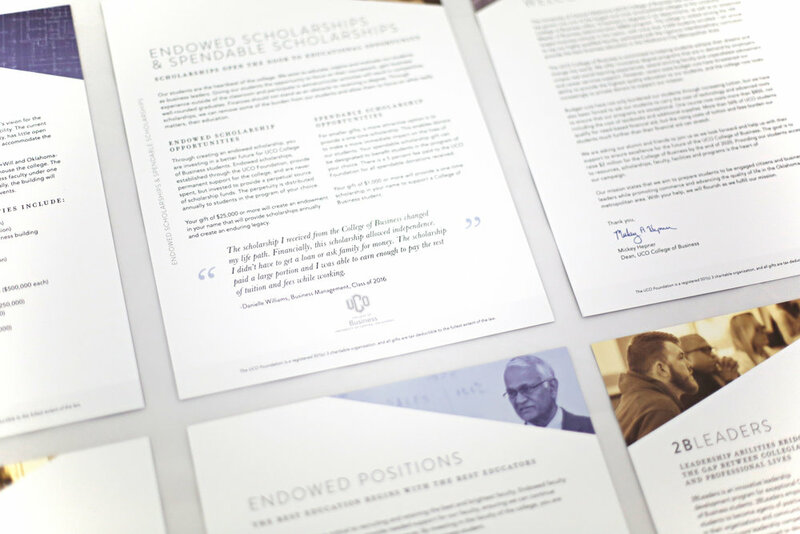 The UCO College of Business needed a new marketing piece to give to potential donors. 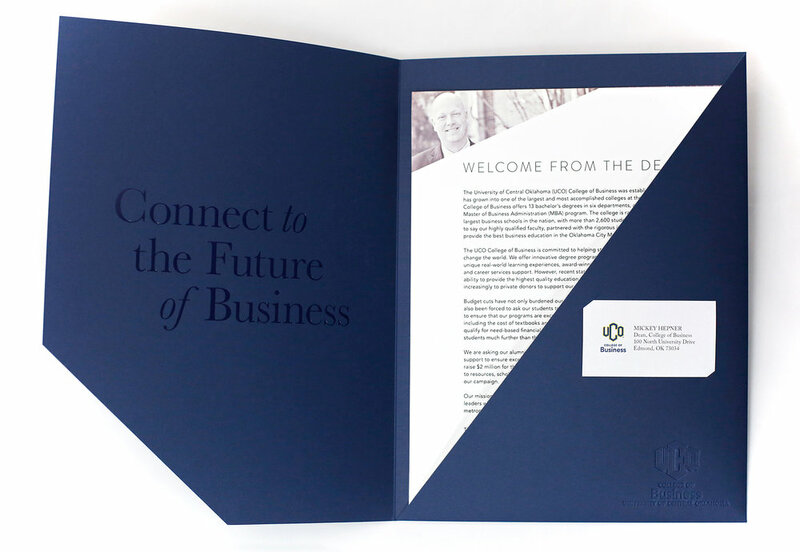 This project included the design of a custom folder with specialty printing and a photo shoot of UCO College of Business students. 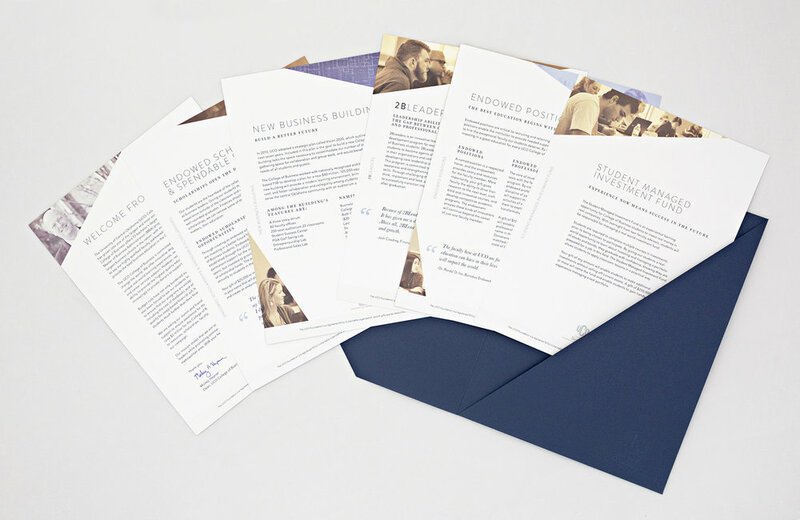 I directed and executed the design and photography for this project and the client was excited to have something that fit their needs so well.